Conservation framing is the process of using specific materials and methods to provide long-term protection for framed works. While all works could be framed in this manner, it is generally used for those items that have a high perceived value to the owner of the work. Nonetheless, we would advise conservation framing for valuable items of sentimental or historical significance. The majority of conservation framing deals with works of art or documents on paper, and it is paper amongst other mediums that can suffer most with the passage of time. Changes in humidity and temperature, along with light sources, can have a detrimental effect on this medium in a relatively short space of time. As the name suggests, this is the board onto which the item is affixed. Many types of boards are used within the picture framing industry, but only those combining acid-free and lignin-free properties should be used. While a lightweight acid-free fomecore board is a good backing, the insertion of a matboard made from cotton fibre (rag matboard) between the fomecore and item should be used for true conservation purposes. The two-fold purpose of the matboard around the artwork or document is to give the item a visual space between itself and the edging frame and to create a vertical separation so that the item and glass do not come into contact. There are several categories of matboard available, but for conservation requirements, only conservation rated boards should be employed. These boards have many specifications, but the main one is that apart from being acid-free they should also be lignin-free. Glass is used to protect framed items from damage that can be caused by environmental factors such as dust, fly specks, finger marks and light. Most of these factors can be mitigated by the use of any glass. Light can cause severe fading. To overcome this potential damage we have to use a special glass with UV filtering properties. For conservation purposes, only glass with a UV reduction factor of at least 97% is considered acceptable by conservators. This type of glass is available in reflective and non-reflective varieties, the latter of which is often referred to as museum glass. It should be stressed that even items protected with UV glass should never be hung in places that are exposed to direct sunlight. Tapes are often used to hold artwork and documents in place within the frame. Like all of the previously mentioned materials, tapes also come in many different types and again only those manufactured to conservation standards should be used. Amongst the many that fulfil this requirement, the Filmoplast P90 is just one. It should be emphasised that framed items should never be glued down. All pieces being framed to conservation standards must be easily removable from their frame. Conservation custom framing should employ all conservation materials with regard to the backing board, mat board, glass and hinging elements and should be considered for those items of significant value to the owner. 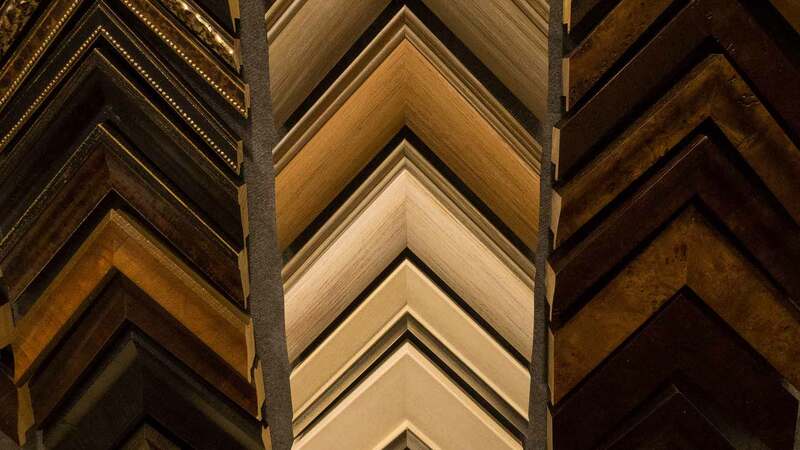 on your next framing project?